Warragul Theatre Organ Society celebrated its 30th year in 2009. First Annual General Meeting was held in the Gippsland Organ Studio in 1979, by the Warragul Organ Club, with 15 members. The club became the Gippsland Division of TOSA in October 1989. Other Warragul venues have also been our 'home' - the Education Centre, Pindari (Vision Australia) and the Masonic Hall. 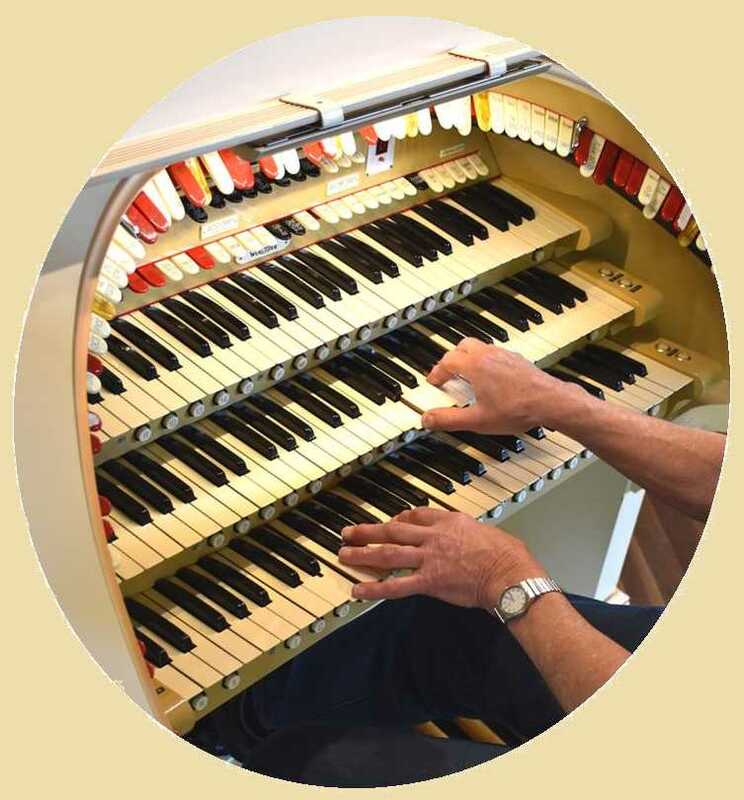 First meeting in Wesley of Warragul was on 11 June 2005, when we were entertained by Chris Powell from the United Kingdom playing our Conn Martinique Electronic organ (pre Wurlitzer installation). Our Society is indebted to TOSA (Vic) for their support and encouragement. Thanks also to Bendigo Theatre Organ Society who donated their funds towards our Wurlitzer, when their Society disbanded. The Grand Opening of the 3/10 Wurlitzer was on 22 March 2008. Four concerts were held across that weekend! Details of this event features in the Gallery. 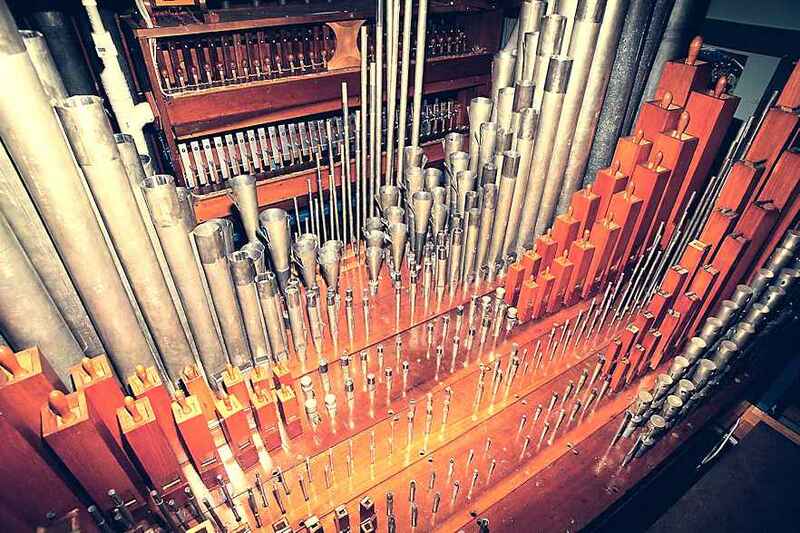 Go to Our Organ to learn about the Wurlitzer organ restoration, installation and it's specifications. 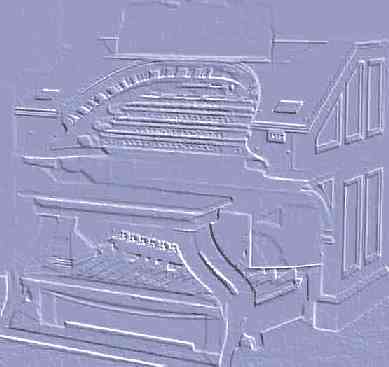 Warragul Theatre Organ Society aims to promote our Wurlitzer, theatre organ music and also classical organ music. We currently have about sixty members. Unique to Gippsland — Discover! The 1889 former church building (Methodist then Uniting) was extensively renovated and extended in 2004. Within the roof space of the extension (at left in photo) are the organ chamber and a sound-proof blower room for air supply. controls the 742 pipes, xylophone, percussion, etc. 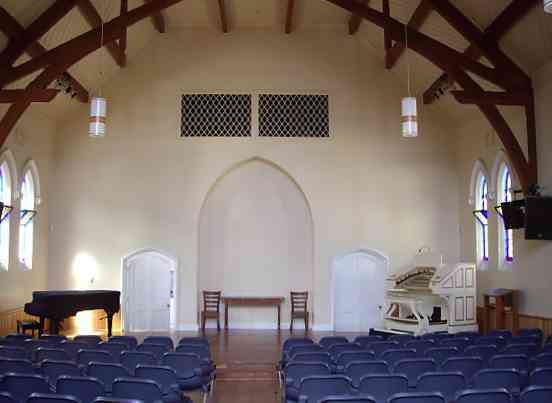 The acoustics of Wesley are ideal. Sound from organ chamber is through two grilles each approx. 1200mm x 1800mm (4 x 6 feet) seen high on wall in photo below.